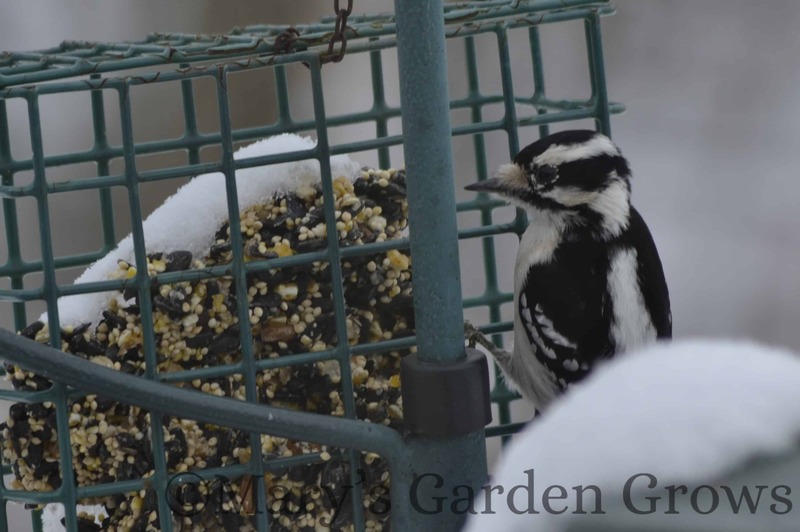 Still winter… so the birds are my only garden entertainment. 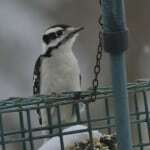 On February 23rd, this pretty Downy Woodpecker girl came to visit. Thankfully all birds don’t fly south for the winter. 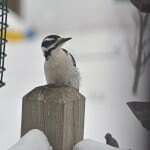 These woodpeckers are year-round visitors to our feeders. 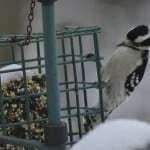 No surprise she loved the “Woodpecker” suet block. 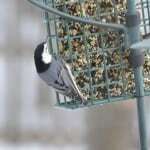 Its ingredients are: Black Oil Sunflower Seeds, Mixed Tree Nuts, White Proso Millet Seeds, Cracked Corn, Peanuts, Gelatin. Has anyone tried making their own suet for the birds? I might have to look into that! 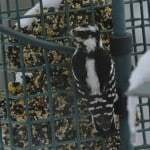 This entry was posted in Journal and tagged Birds, Downy Woodpecker on February 26, 2013 by Mary. 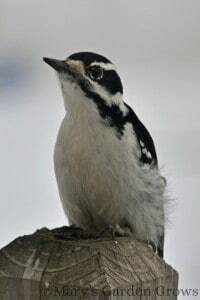 Check out the White-Breasted Nuthatch! 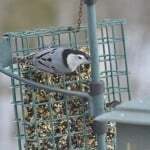 Not many visitors to my bird feeders the last few days. Thought with the warmer temperatures (high of 41 yesterday!) 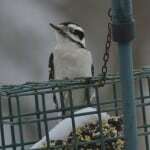 and the snow melting off the feeders, there would be more yesterday. 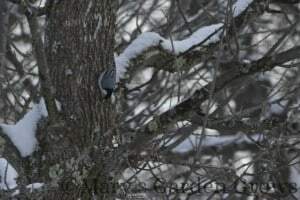 Only noticed this guy – a male White-Breasted Nuthatch. 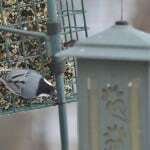 I love to watch how they feed upside down! 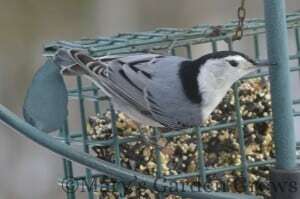 Checked out my Birds of Wisconsin Field Guide and it says the males have black caps and the females are similar looking but with a gray cap and nape. I’ll have to keep a closer eye out to see if males or females are visiting. Without knowing that detail, they all looked the same to me. 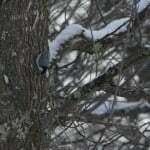 The book also says “the nuthatch’s habit of hopping headfirst down tree trunks helps it see insects and insect eggs that birds climbing up the trunk might miss.” Pretty darn smart! 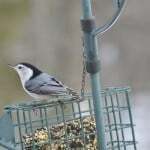 This entry was posted in Journal and tagged Birds, Nuthatch on February 14, 2013 by Mary. 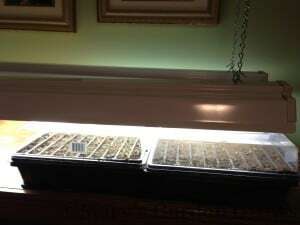 So excited to be kicking off spring a little early by starting some seedlings. 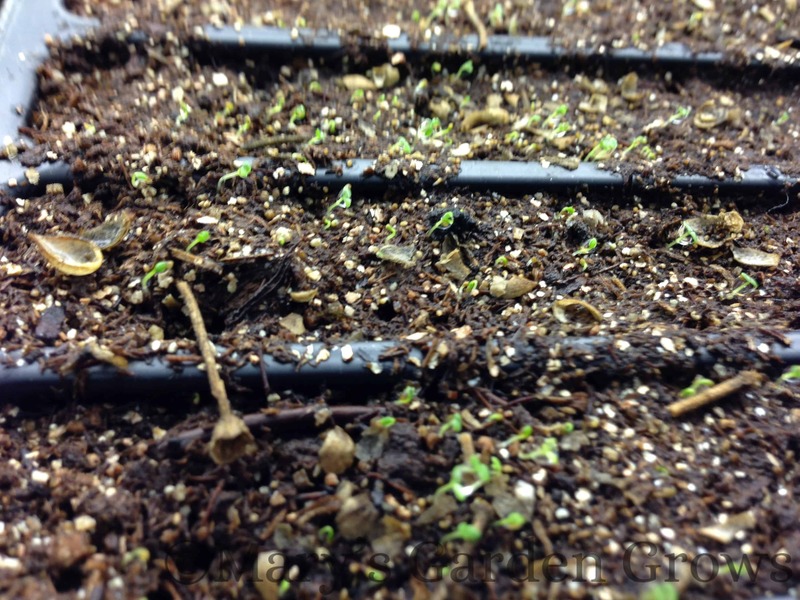 And they may be tiny but seeing my little seedlings growing is just awesome. I collected a LOT of seeds from my garden last fall. Excited to see what I’ll learn from those. 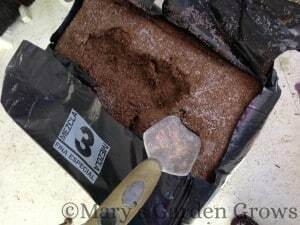 Will they even germinate, will they grow big enough to be planted back in the garden, will they grow true to the original plant, will they be some wonderful surprise?! And if they don’t, I’ll learn from that too! The year before last, the only seeds I collected were from a Mystic Merlin Mallow. Although I didn’t collect those until spring. They germinated easily and I was able to grow many healthy plants. They did come true to the parent plant and were beautiful additions to the garden wherever I could squeeze them in. Shared some with my mom and a couple friends too. So I guess that was the bug that got me collecting all the seeds I could find! Had a little set-back to start off! The dirt was frozen solid. 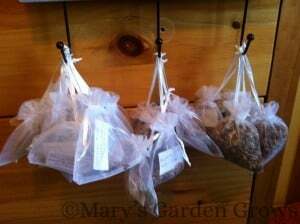 My mom gave me a bale of seed starting dirt for Christmas and we moved it (more like slid it down the stairs and across the yard – it was HEAVY) to the garden shed. Well it’s a little cold out there so ended up with frozen dirt. Thankfully was able to chisel off some after placing a warming mat on it for a few hours. Already learning lessons for next year! So this year, I planted my first trays on Sunday, February 3rd. I started with two big trays of Petunias. Two were a mix of pink and blue wave petunias. The other was white petunias. I over-seeded because I wasn’t sure how they would do. 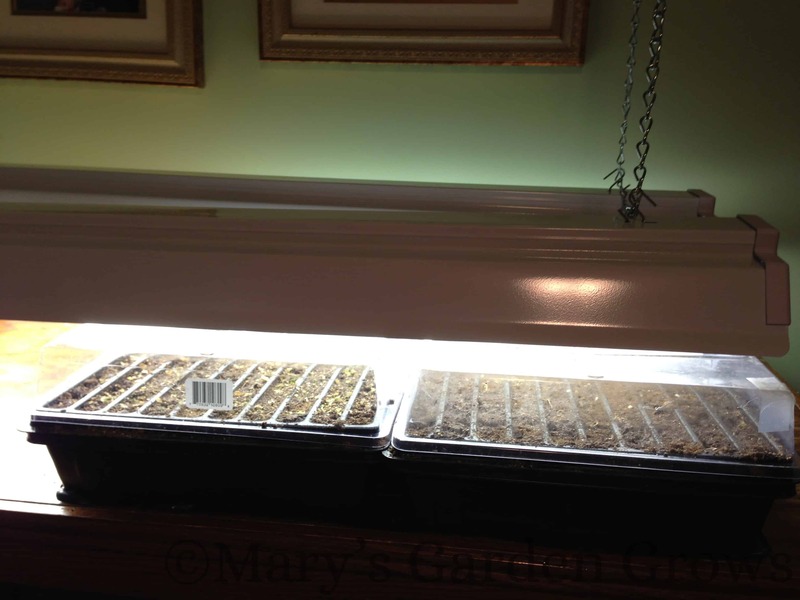 Well they germinated easily and within a few days, I had plenty of itty-bitty seedlings. Going to be so hard to thin those out. 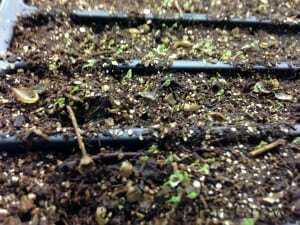 The only problem I’m having is that I used inserts in my trays with long rows and as I found out last year, those are hard to keep from drying out. Especially in the middle of the tray. So watching those closely. 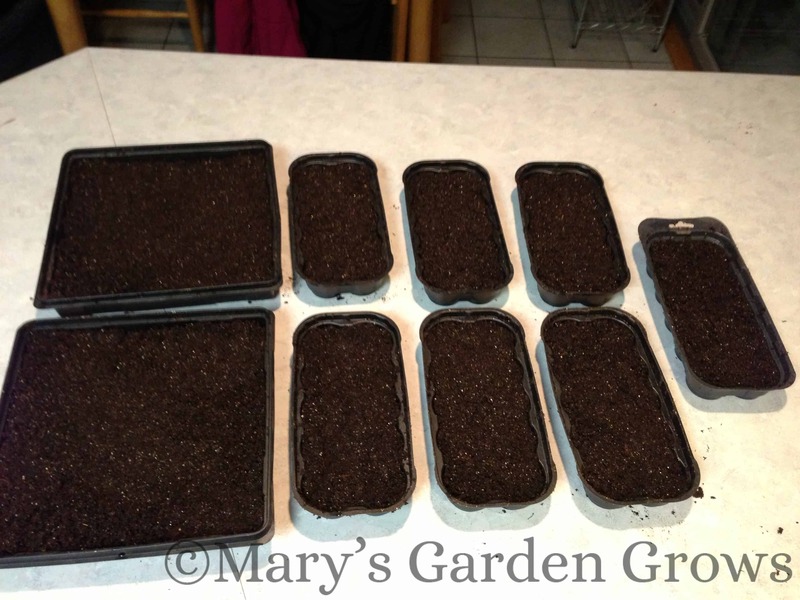 A couple days later (2/5), I planted more trays with some random seeds I collected. Liatris, Black-eyed Susan Vine, Potentilla, Rudbeckia, False Indigo, Verbena, Purple Petunias, and Party Girl Mallow. So far, all of those have germinated and are growing well except the mallow and the verbena (well actually there is one little seeding). Like I’ve said before, this is just an experiment and looking to see what I learn from all of this. 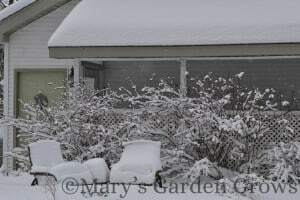 And it sure helps when I look out and see the new half of foot of snow we got this week! This entry was posted in Journal and tagged Seedlings on February 14, 2013 by Mary.